Grey is an excellent tie color for a man that owns many different colored suits. 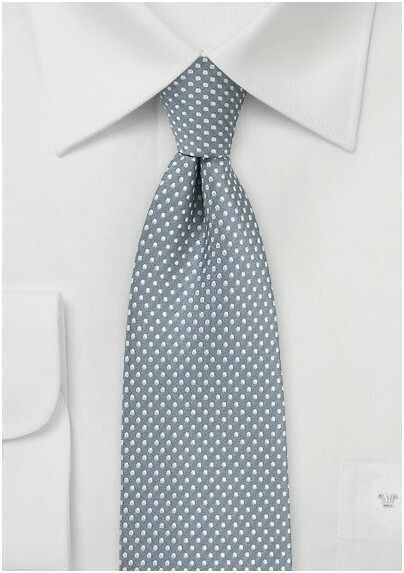 This necktie is no exception. 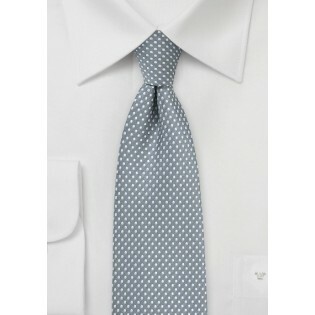 The versatility and style that this tie brings to the table is one that will not go unnoticed. Though this necktie matches with many different colors, we love seeing it with a navy blue suti, a white dress shirt and a bold green colored pocket square. To completely accessorize your outfit, we suggest adding in a matching green tie clip, a pair of browns shoes and voila! You're dressed to impress for the entire day. Made from a durable microfiber and designed by Puccini.